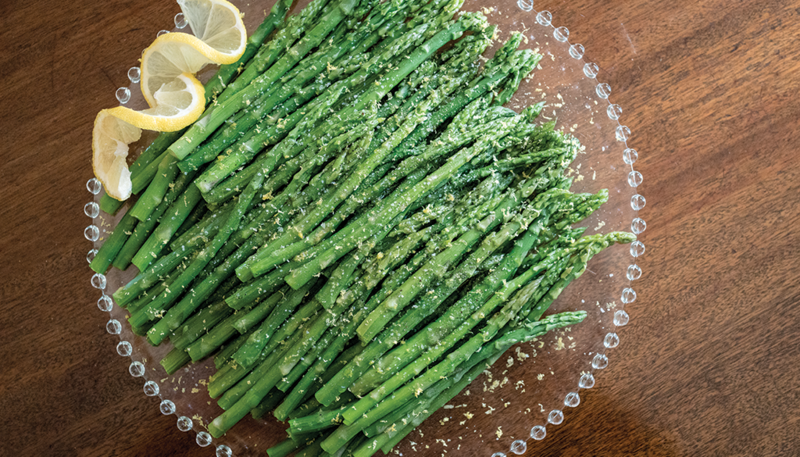 A simple, fresh marinade is all that’s needed for fresh asparagus. Place the asparagus on a platter. Mix the oil, vinegar and garlic salt is a small bowl, whisking to emulsify. This may be done ahead of time. Drizzle over asparagus and allow to marinate until ready to serve. When ready to serve sprinkle generously with lemon zest. Served chilled or at room temperature.